We have selected some of the strongest academic research regarding interventions to manage stress at work and provided summaries below. All studies have been published in peer-reviewed journals and are presented under three headings: Reviews of Stress Management Interventions – a summary of leading systematic reviews and meta-analyses of stress management intervention research; Individual Interventions – stress management activity focused at the individual; and Organisational Interventions – stress management interventions focused at the organisation. Some of the strongest practitioner evidence regarding interventions to manage stress at work has been summarised below. These are empirical studies or work of publishable quality that provide case studies and reviews of interventions conducted in the workplace. The studies are presented under four headings: Manager Interventions; Comparative reviews of Stress Management Interventions; Organisational Interventions and Individual Interventions. These tool kits and guidance documents are designed to help line managers manage stress at work. They are useful for line managers themselves, and for practitioners considering how to support, train and develop line managers. A range of toolkits and guidance documents developed to manage work stress are provided below. 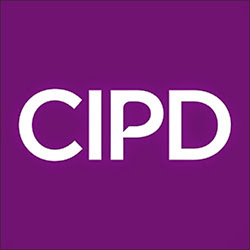 These resources have been designed to help practitioners develop an organisational approach to managing stress at work with different toolkits offering guidance, tools to measure stress at work, user guides, case studies and training aids. A number of documents that relate to national policy implications are provided below. The resources are aimed at helping organisations to implement national policies and laws relating to stress at work. Some of our sponsors have campaigns specific to this topic which are detailed below.